Toy Wonders reshippable mailer boxes - Toy Wonders, Inc. 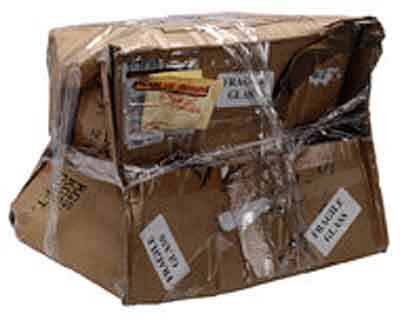 If you have received or shipped packages before, you've already witnessed how dented and banged up boxes can get. In other instances, shipping cartons arrive in good shape, but the contents inside have been damaged. This can be caused by the box being dropped or by damage caused by severe road vibration during transport. The ride in the back of a tractor trailer can be earthquake like and just isn't as smooth as your car. It's aggravating because claims take time to process; but even worse, you are unable to deliver what you said you would to your customer(s). 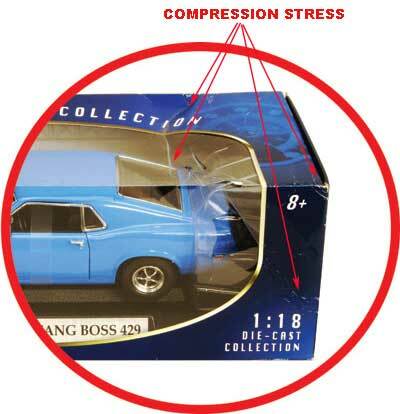 The car is fine, but retail box shows compression damage due to transport. This can occur even if the items were packed well into the master carton. Fortunately, most of the shipping cartons don't arrive like the above. But more often than not shipping cartons sent through the "normal" ground distribution channels show signs of stress (i.e. dented corners, small puncture, heavy boxes stacked on top of your little box). This is problematic for us in the toy or diecast model distribution business, because the end-consumer often desires a pristine retail box. 1. 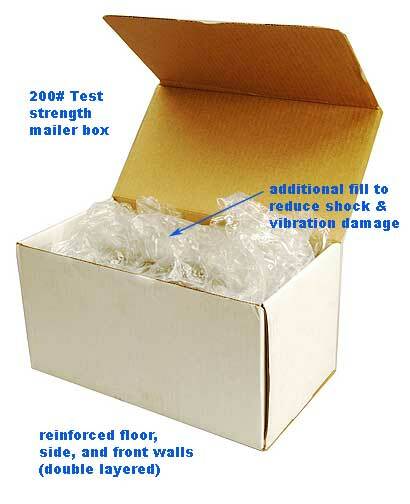 Greatly increase the chance your items arrive safely and the retail package unmarred. 2. Save time and money for those who need to re-ship. Many of our customers need to re-ship particular items to their customers. 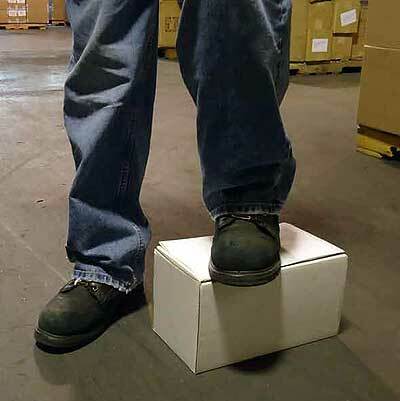 Finding the appropriate sized box & adequate fill material(s) can be both expensive and very time consuming. Many customers have told us that it's the packout that is the bottleneck with their operation. Wouldn't it be convenient to open a Toy Wonders carton, pull out the item(s) you need, affix a shipping label to the mailer box, and then simply give it to your shipping courier? We hope this optional service allows our customers to spend more time selling and less with the busy work. For those of you that purchase boxes and filler material, you know how expensive these two simple items have gotten over the years. Hopefully after you do the math, you'll realize that the nominal fee we charge for this added value service, saves you time, money or possibly both. Since time is often equated to money. Perhaps this service will save you money and more money. How do I get my items packed into these mailer boxes? If we offer this option (selected items only), just above the Add to Cart button is a drop down menu. Select "repack this item into its own reshippable box" and we'll handle the rest.